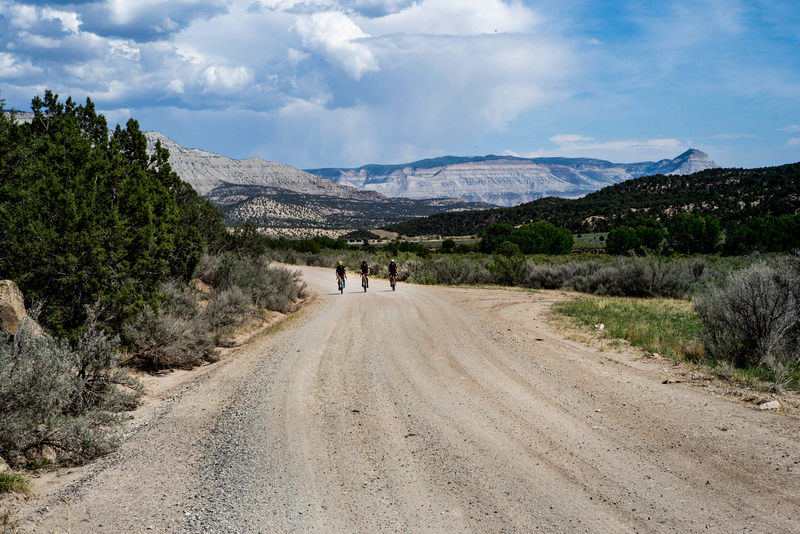 Wild Horse Gravel will showcase the unique high desertscape of the Western Slope. Hosted on the luxury High Lonesome Ranch, riders will be treated to a country cookout, campfire, camping – or glamping – and the best local music. In short, there will be a Colorado country hoedown that complements this one-of-a-kind ride. Packets will ONLY be available either on Friday, May 10 or the morning of the ride Saturday, May 11 at the High Lonesome Ranch, in De Beque, Colorado. Friday, May 10 from 5 – 8 p.m.
Saturday, May 11 from 6 – 8 a.m. Participants are able to manage their registration details online until May 5. Riders can change their course preference, and other custom questions. It’s simple to make changes – just log in to events.com and edit your preferences via the confirmation link. Participants are not allowed to change their name, address or any way transfer a registration to somebody else. In true cycling tradition, the Wild Horse Gravel will take place regardless of weather; therefore refunds will not be provided.